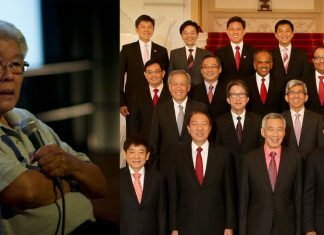 Law professor Walter Woon cited the four constitutional challenges against the government since the 2011 General Election as examples of “diminished diffidence” of our society. He predicted that there would be fewer inhibitions in taking on the government as society becomes more diverse. The score is 3:1, in favour of the government with the judiciary partially ruling against the Prime Minister in the fourth. Why do people like Kenneth Jeyaretnam and M Ravi take on these complex issues? Ravi, in an earlier interview with The Independent, said: “Our oath at the Bar requires us to be fearless in the pursuit of justice. Such a pursuit becomes even more important when we have weak institutional checks on the state, like Parliament, and the role of the courts becomes even more critical as custodians of citizens’ rights. Imagine if Lee Kuan Yew had been challenged on this same issue when Hon Sui Sen and Teh Cheang Wan’s deaths left their seats vacant. But that’s history, which requires a separate article. Prof Woon won’t have anything do with this kind of argument. “Activists must refrain from the “brat response to say this is what I want and I’m not leaving till you change it”. Woon and other speakers at the Institute of Policy Studies conference on civil society urged activists to “stay at the table” instead of taking a more combative approach. Well, combative approaches can work, especially if the cases are genuine. A case in point is the strike by the China drivers last year. When challenged by underdogs, the authorities escorted them to the airport and sent them home to China. And then argued in court against the four ring-leaders of the strike to be thrown into jail for taking illegal industrial action. That was the first strike in 26 years. It took the Cabinet two days before they decided to call it a strike. It was an “industrial dispute” until then. SMRT was ready to call in the army — to provide drivers. Fast forward to a year later. SMRT gave itself a huge pat on the back for its new bus captain career scheme earlier this month, promising salaries of up to $3,500. But my thoughts were with the 33 underdogs from China who brought about this “forward thinking” nearly a year ago. Before this pay increase , SMRT tried to raise salaries by $25. Admittedly, the bus management has improved working conditions: At the Yishun interchange, they’ve put in a toilet and benches at the coffee stall where the bus drivers can gather during their breaks. Still, for drivers who remained in Singapore – and for new drivers who arrived since – the work environment has improved as a result of what happened, according to SMRT statements and drivers who spoke to The Wall Street Journal. In some ways, the protest worked. Drivers hired from China on two-year contracts now receive the same performance incentives as drivers of other nationalities, according to an SMRT statement. They also get a 13th-month bonus and a year-end variable bonus. SMRT said it took steps to improve dormitory conditions, including moving some drivers to better facilities and reorganising work schedules to allow adequate rest. The company also revamped its human-resources department, disciplined under-performing supervisors and improved communication channels with its workers, it said. The National Transport Workers’ Union has been actively encouraging foreign workers to become members. The NTWU now counts about 86% of SMRT’s mainland Chinese bus drivers – or about 380 people – as associate members, though contract workers like those from China remain excluded from full membership under the terms of the union’s collective agreement with SMRT. However, associate members can seek union help to engage management on workplace grievances, although they remain excluded from collective-bargaining processes that determine pay and other working conditions. On the government’s part, the Manpower Ministry has pledged to step up protection for vulnerable workers and encourage companies to improve mechanisms for handling employees’ grievances, Acting Manpower Minister Tan Chuan-Jin told Parliament in February. “No matter how we painstakingly manage industrial relations, problems will emerge and disputes will occur,” Prime Minister Lee Hsien Loong said in his May Day speech, making his first public comments on the SMRT strike. The China workers have shown that there is another way. Look at the protest against the 6.9 million population White Paper: the government has dropped all mention of increasing the population now and is dealing with the issues of transport infrastructure and health facilities and housing and jobs, which the protests were really about. Coming back to Walter Woon… well, brats need not be associated with only the bad things in our society. Their actions can bring about positive changes, too.